Dedicated to George Ivanovich Gurdjieff. 『He said "Life Is Real Only Then, When I Am". In the above words, "He" is reffered to the mystic philosopher George Ivanovich Gurdjieff. theses on attitude towards my work." The title "Tibetan Mist" doesn't mean exactly as "Mist in Tibet". JINMO says it is "some special atmosphere on spiritual state". Gurdjieff also had very important spiritual experiences in Tibet in his lifetime. 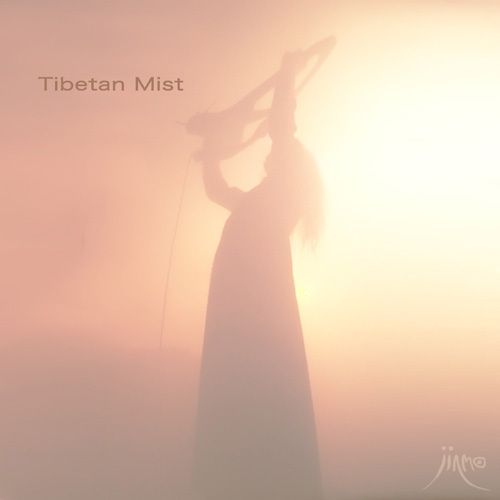 This album,"Tibetan Mist" is composed of guitar orchestration. and it is hard to infer that original sound were played with guitar. it is the kind of thing that hard to experience in our ordinary acoustic environment. we will feel that we are caught up into extraordinary environment. it is also recommended to listen with high quality headphones in bed as if you were in Tibetan Mist. it extracted something from me and it simultaneously implanted me something. And various things had vicissitudes of their phase before I realized... I felt it like that.